This is a guest post I wrote for another local blogger, Lisa Walters, of Damsel in a Dress. Lisa writes about her life and her struggles with chronic health issues. She writes in a lighthearted, humorous and refreshing way (girlfriend is hilarious! ), and I like that! Lisa wrote to me several weeks ago, describing a little holiday blog project she was working on where she was putting together a compilation of guest blog posts from writers talking about how to survive the holidays with various conditions, illnesses, and other issues that might make the holidays a little more difficult than they should be. Below is my guest blog post, also published HERE. There is a natural desire to pass family traditions down to the next generation, and I always thought I would do that… until my son, Brennen came along, rocked my world, and changed how we do things, including the Holidays, entirely. For the first couple of years of Brennen’s life, I would dread going to toy stores. Who am I kidding, I still do. I avoid them at all costs, knowing that there is very little available that Brennen can “play” with. Christmas shopping has become a challenge, and though I try to resist it, every year I inevitably find myself in a toy aisle, tears streaming down my face with the realization, once again, that I am living in a starkly different world. While I dream of wrapping up the one thing my child will adore, the one thing that will attract is attention, ignite his creativity and give him opportunities to play and learn and grow, it is not that easy. Finding products and toys that will work for Brennen is difficult. I look at items, analyze their potential, and ultimately decide that they are not suitable – that he cannot physically manipulate them on his own, and will be a complete waste of money. Sometimes I will purchase the toy anyway, in hopes that some miracle will happen and his skills will improve. Sometimes I just want to feel like any other parent shopping at Toys R Us, who can pick out a present for their child without having to stress about whether or not it will be used for its intended purpose, or be added to the stuff that goes into a closet and never comes out. 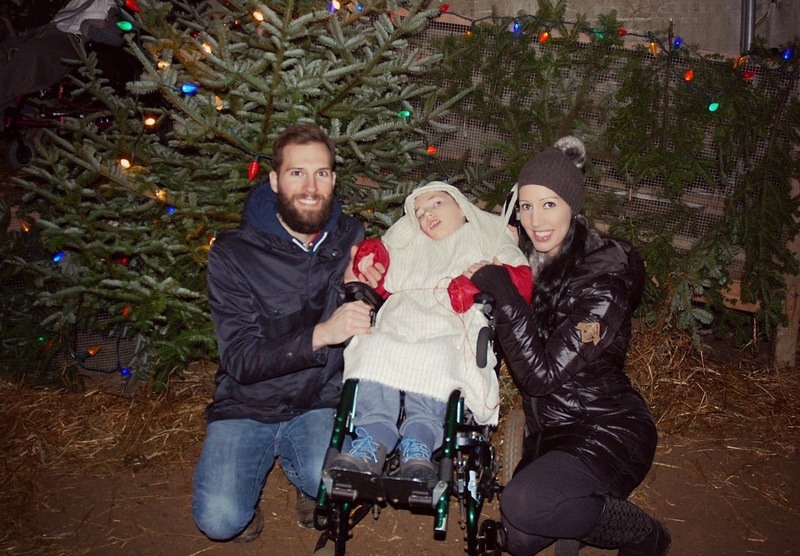 Christmas is different with a child with special needs. Brennen can’t write a letter to Santa. He can’t tell me anything that he would like to ask for, or what he hopes to find underneath the tree on Christmas morning. He can’t get up in the middle of the night to exclaim his excitement that Santa has come, and he can’t unwrap his own gifts. I don’t even know how much he understands about Christmas or Santa Claus or traditions or magic, but we do it anyway. 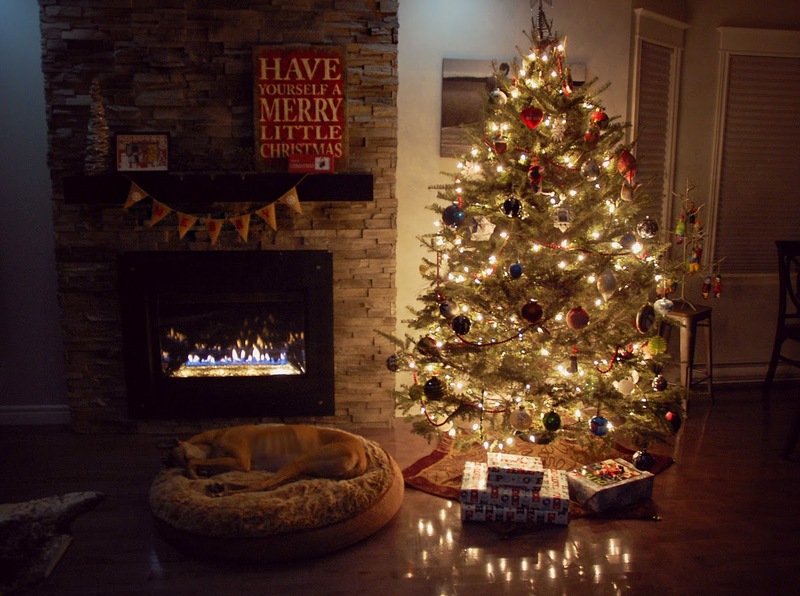 We bring Christmas into our home and we celebrate with all of the things that a little boy should have around him – love and light and wonder and joy. We do it for him, and we do it for us, as a family. It is important to carry on with some of the things that meant a lot to us growing up. We love Christmas! I still get giddy thinking about my favourite Christmas songs (so many I can’t pick just one! ), favourite Christmas movie (Miracle on 34th Street), and favourite Christmas treats (Mom’s (used to be Nan’s) apricot raisin cake). My most cherished Christmas memories from when I was a child are never related to a present. They are memories of going to mass on Christmas Eve with my father and grandfather, Dad reading The Night Before Christmas to my sister and I no matter how late it was (literally every year until we moved out), having turkey dinner on Christmas Day with my Mom’s family, and a sing-along at my parents’ annual blow-out Boxing Day party (that is still a tradition today!). My favourite memories revolve around people, family, spending time with loved ones and celebrating the holidays together. This is what matters most to me, and this is something that I can continue with my own little family. Brennen enjoys the sights and sounds of Christmas. He loves to look at the twinkly lights on the tree, and we have Christmas music playing constantly. He is happy when he is surrounded by people, and he certainly knows that he is loved. We have started some new traditions. On Christmas Eve, instead of going out, our family and friends now come to our house to see Brennen before he gets tucked into bed for the night. 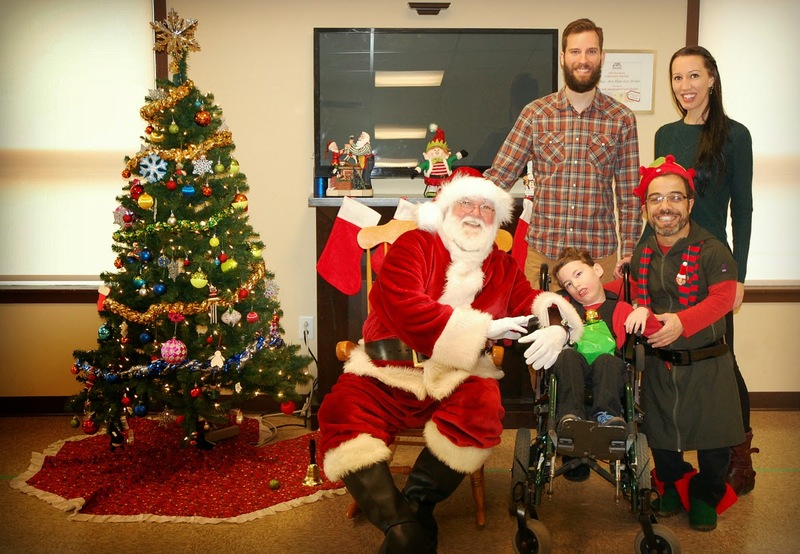 Our schedule of events now includes the Janeway Children’s Hospital Christmas party, Easter Seals Breakfast with Santa, and the Rainbow Riders Live Nativity. These have quickly become our favourite and most anticipated events of the season! We don’t go overboard with gifts. On Christmas morning, we take time to help Brennen unwrap each one, enjoying the sound of ripping paper, and the anticipation of what’s coming next. We focus on the importance of what the holidays are truly about – family and togetherness, kindness and giving, magic and wonder. If I were to give advice to parents of children with special needs this Christmas, I would have to say not to put too much pressure on yourself, and don’t expect things to be ‘perfect’. The holidays are stressful for all parents, but our children’s special needs add an extra degree of difficulty. Try not to get caught up in the details, and just enjoy the time with your family. It may not look the way you had envisioned it, and it may not run as smoothly as you had hoped, but it can still be special. It may not be what you had planned, but that doesn’t mean it can’t be awesome! Focus on the positive things, and think of all the things you’re thankful for. Start new traditions, make it meaningful. Find happiness in your child, and that will get you through anything!